Making your way to the shore from the town, you could pause for a while in the cool Parque de la Fuente to enjoy a moment in the shade, before taking to the beach for a sun session, or a walk around the Peñon, the massive rock jutting out to sea, a prison in the first and second centuries, eventually a Christian burial site. 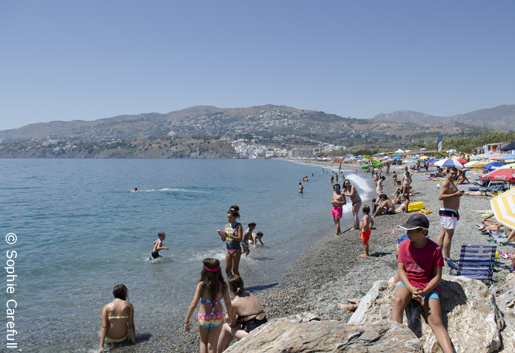 Playa de la Charca, to the west of the peñon in Salobreña. 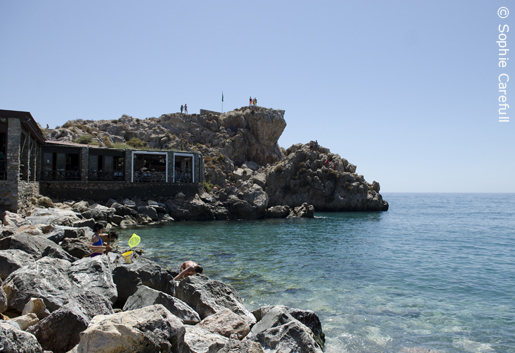 Take a walk up the peñon rock in Salobreña for beautiful views of the coast. 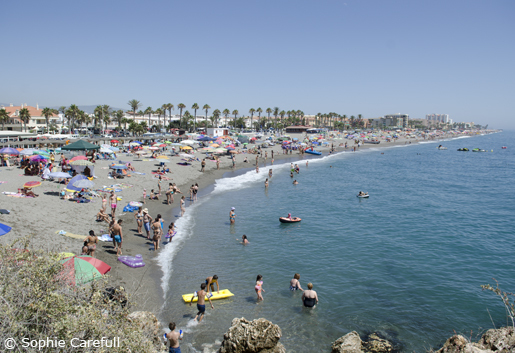 Playa de la Guardia, to the east of the peñon in Salobreña.